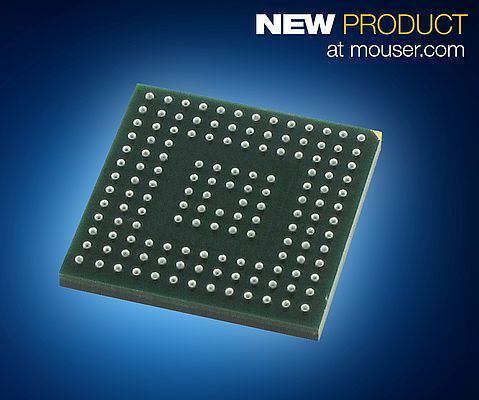 Mouser Electronics has the new Microchip Technology low-power crypto-enabled embedded controller in stock. It’s hardware-based cryptography suite offers significant performance improvements over firmware-based solutions. The CEC1302 makes it easy to add security to Internet of Things (IoT) devices, offering easy-to-use encryption and authentication for programming flexibility and increased levels of security. features a 32-bit ARM® Cortex®-M4 processor core with 128KBytes of SRAM, 32KBytes of boot ROM, and a hardware floating point unit (FPU). The CEC1302 allows for pre-boot authentication of the system firmware in order to ensure that the firmware is untouched and uncorrupted, thereby preventing security attacks such as man-in-the-middle, denial-of-service and backdoor vulnerabilities. It can also be used to authenticate any firmware updates, protecting the system from malware or memory corruption.